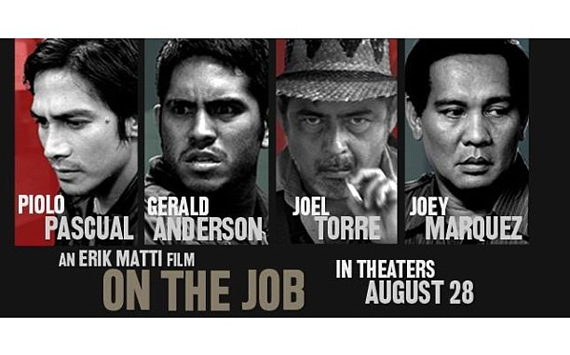 Erik Matti’s On The Job is one bloody masterpiece. The whole thing just blew me away. This, in my opinion, is how Filipino movies should be made. And this is how promo materials should be made. Here are five things about this movie that make it worthy of the title “the best (modern) Filipino film I have seen so far”. This also includes “great directing” under here, since the story is by director Erik Matti himself. The screenplay, though, is another collaboration between Matti and Michiko Yamamoto, like Tiktik, which I loved. So the Matti-Yamamoto screenwriting tandem is fast becoming a local favourite of mine. 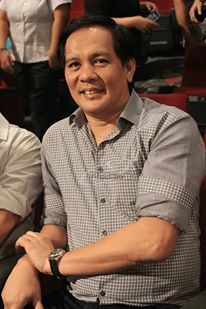 And Joey Marquez is fast becoming Erik Matti's go-to guy. It’s by Dix Buhay. I went to film school with him. And his lighting here is just gorgeous. Although it may have the feel of an indie film, that is only in relation to the storytelling freedom this project allows the filmmakers. As for everything else, this is a major studio film, so it has a star-studded cast. But the star of this show: Gerald Anderson. It’s the first time I’ve seen the guy act, and I have to admit, he’s good. You make me gay, Mr. Anderson. Wait... whut. Pacing, in my opinion, is the most difficult thing to pull off. It all goes back to the screenplay; if you’ve got great pacing on paper, that’s where the director and editor take their cues from. Great pacing will get you places, boys. OTJ (On The Job). Philippines. 2013. Follow Sting Lacson on Twitter. But follow Da Couch Tomato first. Follow Da Couch Tomato on Google +. Wow. THIS I can't miss. Wait, is it still showing? Yes, I believe it is. Do NOT miss it on the big screen. The suspense is best enjoyed with other Filipinos. Hehehe.